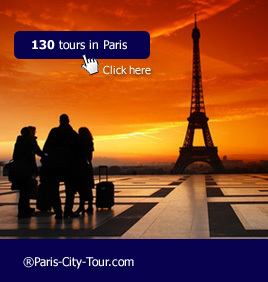 About this tour : Enjoy an evening out in the temple of the French Cancan, the Moulin Rouge now more than 100 years old. You will wine and dine while watching the new show, "Feerie", in line with pure music-hall tradition. As the theatre lights go down, the curtain is raised and the entire troupe appears on stage, under the admiring gaze of the audience who find themselves entering the Garden of the Moulin Rouge to discover the magical atmosphere! A touch of nostalgia. From this moment on, let yourself be enthralled by the beauty of the Doriss Girls and the Doriss Dancers! Book your tickets for the Moulin Rouge dinner in advance. Also see Moulin Rouge website.